Welcome to Make It Happen, a podcast with Wahido Marata, where amazing things happen. In each episode we’ll explore a topic related to mindset and share tips and tools that can help you ReBrand, ReVive and ReAlize your fullest potential. Thank you for listening and enjoy the show! 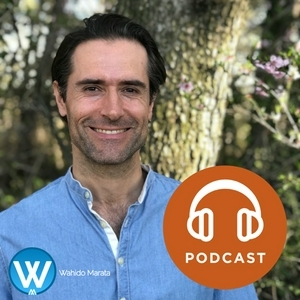 Wahido Marata is an ICF certified Life Coach committed to helping entrepreneurs go beyond struggles, belief systems, boost their self-confidence and self-awareness. Do You Want To Know The Top 6 Solutions To Address Procrastination? What Does It Take To Be A Noble Human Being? Do I Feel Pretty? No, I AM Pretty!! PLUS the BS trash talk we say to ourselves. Motivation is a plaster & why Mel Robbins is right. Have you pressed the snooze button this morning? Are you ready to run the EXTRA MILE & create STRONG MINDSET? How to pursue a career vs a job? Rapport: What Creates Good Rapport Between Individuals? What are the biggest struggles faced during a career transition? How to maintain a positive mindset in a career transition? You are a Work of Art and Your Life is Your Masterpiece! How to be insanely creative in your job search! Do you have a crystal clear vision for your life?